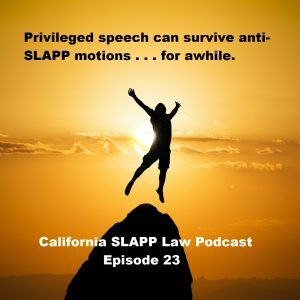 In Episode 23 of the California SLAPP Law Podcast, we examine two cases that consider how privileged speech should be viewed during the two-prong anti-SLAPP analysis. As you will hear, the fact that the speech was privileged does not mean it automatically falls under the anti-SLAPP statute. Edalati v. Kaiser Foundation Health Plan, Inc. This unpublished case is our starting point. In Edalati, a dentist learned that Kaiser Foundation Health Plan had sent a letter to dozens of her patients, falsely informing them that the dentist was on a government list for Medicare abuse. Kaiser realized it’s mistake and sent out a retraction letter, but by that point the damage had been done. The dentist sued for defamation, and Kaiser responded with an anti-SLAPP motion. Kaiser’s letter clearly falls under the common interest privilege of Civil Code section 47, but is that enough to prevail on an anti-SLAPP motion? In opposition to Kaiser’s anti-SLAPP motion, the dentist in Edalati relied on the case of Lefebvre v. Lefebvre. In that case, a wife, in the hope that it would help in a custody dispute, filed a false police report against her husband, claiming he had threatened to kill her and their children. He was arrested and charged. He was found not guilty, and then sued his ex-wife for defamation. The wife brought an anti-SLAPP motion. The report to the police enjoys an absolute privilege, so the anti-SLAPP motion must have been granted, right? Don’t be so sure. 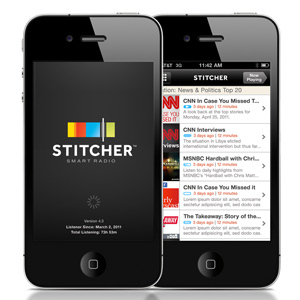 Listen to this latest episode to find out. Here’s a hint. The case law discussed in this episode offers a means to save attorneys and their clients from an award of attorney fees when they end up on the wrong side of an anti-SLAPP motion. The publisher stopped supporting and offering a fantastic program called Notescraps that I use every day in my practice. I not only prevailed on them to keep offering the program, I got them to give it to you for free (it used to be $20). I tell you how to get it on this episode. And finally, just for fun, I tell the tale of my encounter with some officious deputies at the courthouse. I still made it to court and still won my motion.